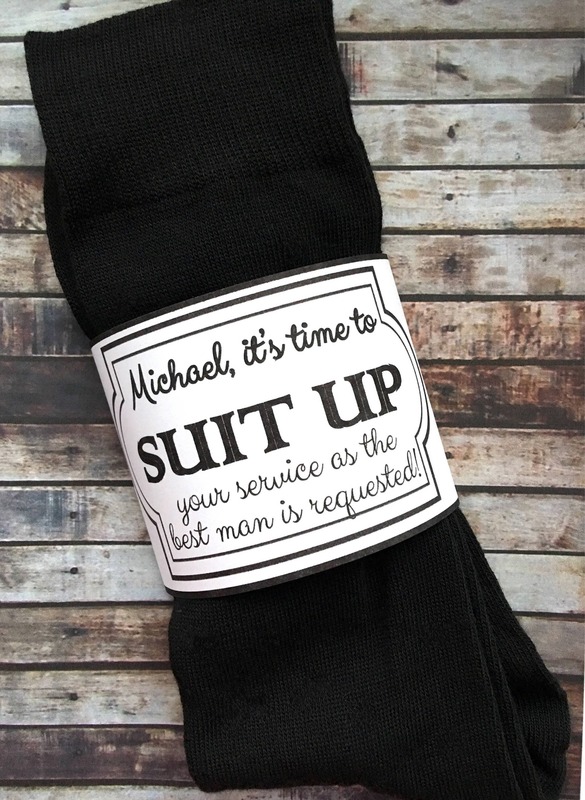 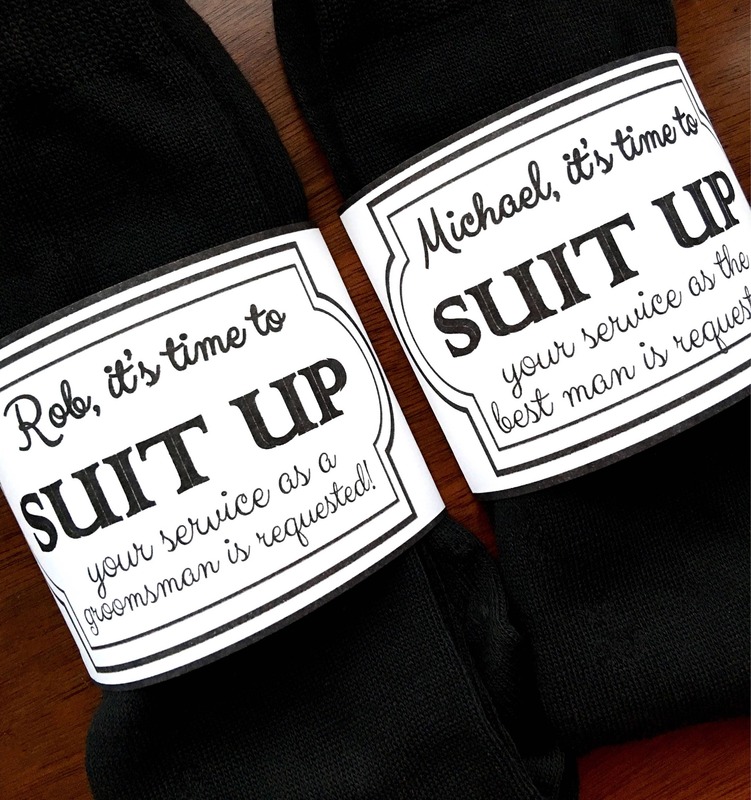 Such a great and simple way to ask your men to be your groomsmen! 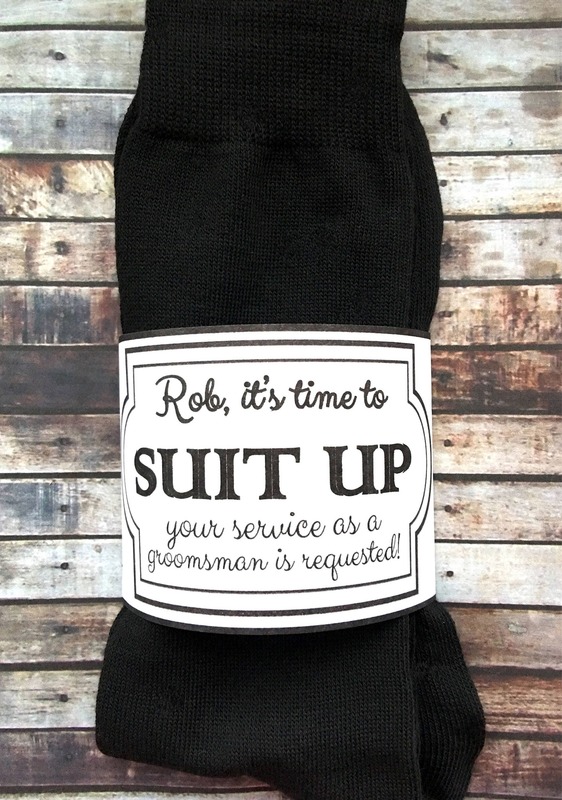 1 pair of socks with the special saying wrapped around them (shoe size 6-12) or just the sock Sleeves. 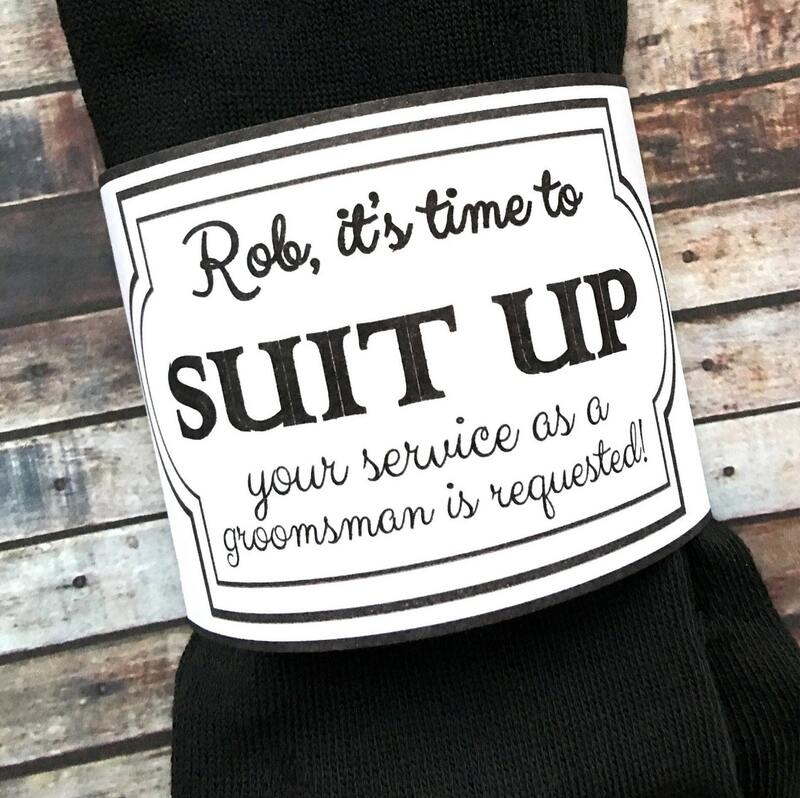 These are the perfect gift for our groomsmen!